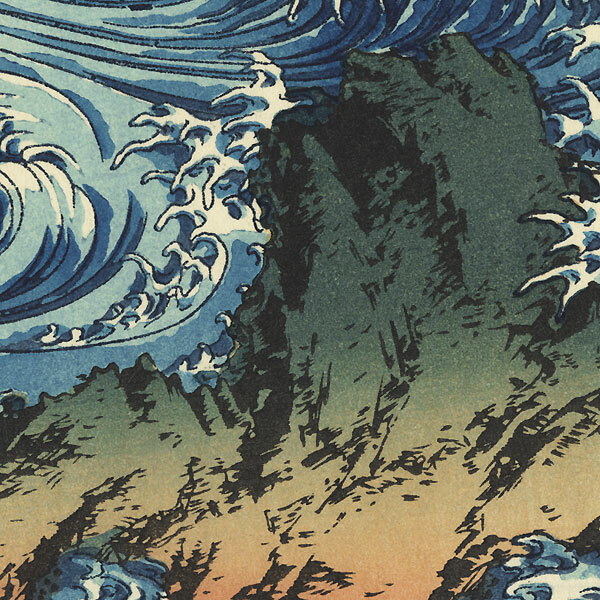 Whirlpools at Awa - Incredible depiction of the famous whirlpools at Awa with churning, swirling water crashing against a rock jutting out near the shore. 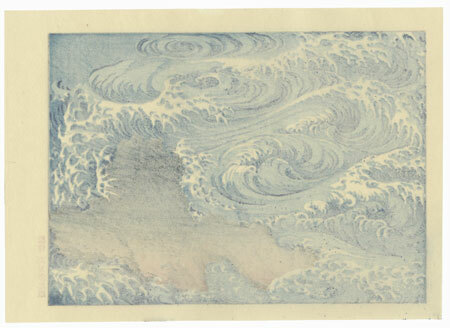 The waves curl over into foamy white tendrils as the current undulates in dizzying spirals. 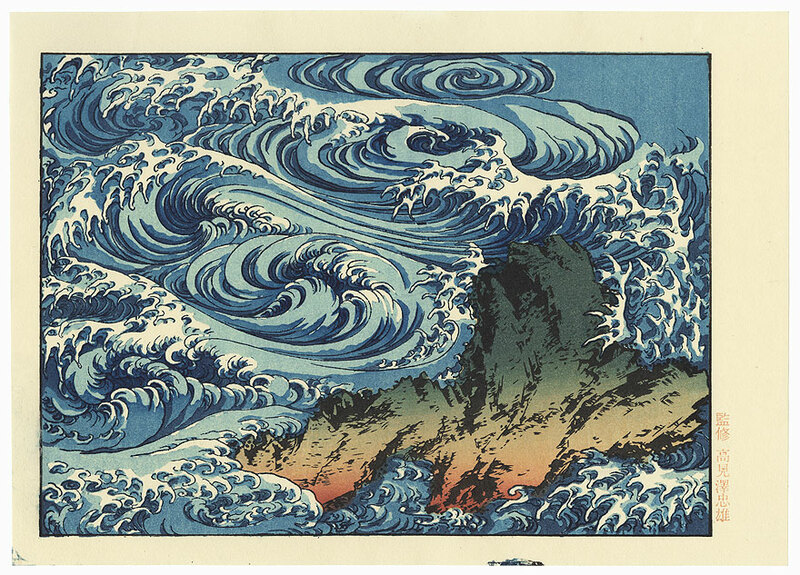 A fantastic Hokusai design beautifully capturing the energy and motion of the whirlpools.